Well, its 2014 and it’s Friday! Time for another favorite! Even though NYE has long passed, I still love me some sparkle. 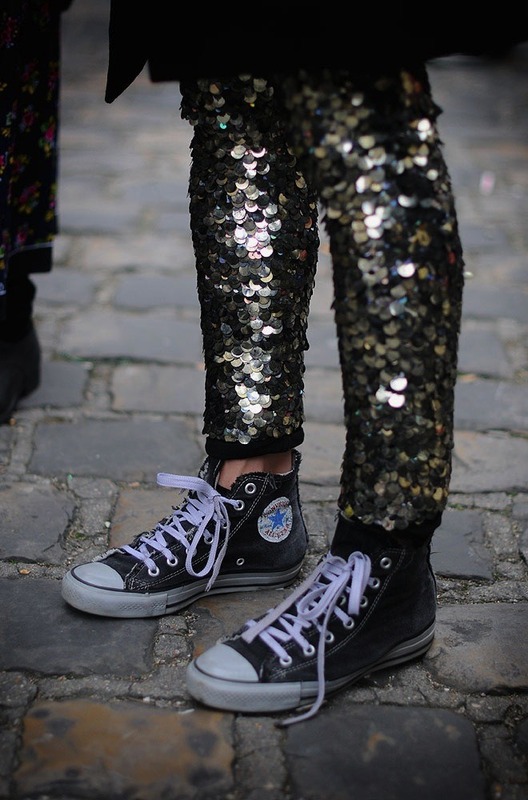 These sequin pants paired with black chucks is so perfectly tomboy glam.